Chamber of commerce « What Happened to the Portcullis? A new Trade Community System (TCS) that will function as a free to access portal bringing together existing data on container shipments is the result of a collaboration between PwC Australia, the Australian Chamber of Commerce and Industry, and the Port of Brisbane. The goal of the TCS is to link existing supply chain information in disparate systems through blockchain technology, and in the process “revolutionise international trade by removing complexity”. The developers of TCS noted that one shipment to or from Australia today generates as many as 190 documents and 7,5000 data fields, much of which is duplicating data for different systems, and there is no ability currently to track containers on end to end journeys. TCS aims to address this with a “National platform that links rather than replaces existing systems, provides end to end visibility and foresight of impediments such as delays and incorrect information, and is permissioned”. All documents, approvals and other requirements would be linked to a single shipment or container number as hashes on a blockchain that supports the TCS system, or stored in an off-chain graph database. The developers stressed that TCS “augments, not replaces the systems that are already part of Australia’s supply chains”. Users would access the TCS directly through a web portal or indirectly through their existing systems, and at no upfront cost. “Users are not charged to use the platform or access data about the goods they are managing. Revenue comes from the productivity and service innovations that the data unleashes,” the developers stated. Speaking at the launch of a proof of concept Trade Community System digital application in Brisbane, Port of Brisbane CEO, Roy Cummins said: “To drive new efficiency gains, industry leaders need to develop mechanisms which facilitate the integration and interoperability of commercial operators across the supply chain and logistics sector”. This is the goal of the TCS. “The Trade Community System proof of concept is the first stage in building an innovative end-to-end supply chain that will digitise the flow of trading information, improve connectivity for supply chain participants, reduce friction for business and reduce supply chain costs, providing unprecedented productivity gains for Australia’s international businesses,” PwC Partner, Ben Lannan added. For the Chamber of Commerce and Industry, TCS is an important step in reducing the cost of doing business. “As a trading nation, Australia relies on efficient and effective international supply chains to drive its economic engine room,” said Australian Chamber Director of Trade and International Affairs, Bryan Clark. “At present the current inefficiency across Australian supply chains has added to the cost of doing business, creating up to $450 in excess costs per container. This doesn’t just represent in excess of $1bn in value lost, but goes to the heart of Australian commodity trade viability when it gets priced out of the competitive global market”. Parliment’s standing committee on finance (SCoF) has decided to postpone its deliberations on two draft customs-related bills until next year to allow importers and the freight-forwarding industry more time to comment on the proposals which threaten the status of City Deep as an inland port. This followed an appeal by the South African Association of Freight Forwarders that it had had insufficient time to consider the substantially revised draft Customs Control Bill and Customs Duty Bill, which required that imported goods would have to be cleared at the first point of entry. 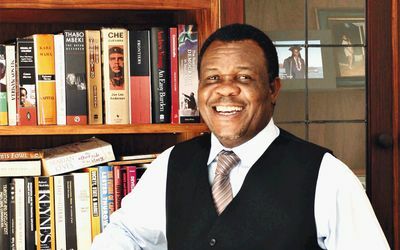 The association, supported by a range of other business organisations, including the Johannesburg Chamber of Commerce and Industry, warned that the bills could be challenged on constitutional grounds if the process of consultation was deficient. All political parties supported the proposal by finance committee chairman Thaba Mufamadi on Wednesday that the deliberations on the bills be postponed until next year. He instructed stakeholders to make their submissions to the South African Revenue Service (SARS) by December 15. Mr Mufamadi also took cognisance of concerns raised by Business Unity South Africa that parliamentary processes did not allow sufficient time to comment, for example, on the medium-term budget policy statement. Industry has warned of port delays and trade disruption if the proposals were to be adopted. The Customs Control Bill proposes that goods be cleared at the first port of entry into South Africa. This will mean that inland ports such as City Deep in Johannesburg would no longer be designated places of entry or exit for customs purposes. In the past, containerised cargo could move directly to inland ports on arrival in the country under cover of a manifest. A new declaration — of the nature, value, origin and duty payable on the goods — would replace the manifests. SARS said these did not provide sufficient information to undertake a risk assessment. Another bone of contention for industry was the “extremely severe” penalties proposed in the draft Customs Duty Bill. Following the uproar about the proposals SARS offered a compromise earlier this week as a way out of the impasse. Instead of a clearance at the port of entry, a mandatory advance customs clearance of the goods three days before their arrival at the first port of entry would be required. Goods consigned to inland terminals such as City Deep would be released conditionally. The system would be tested for the whole of next year to iron out any problems. An alternative option would be for the goods to undergo a lesser form of clearance at the first point of entry. This would still entail providing customs authorities with the same level of information on the tariff, value and origin of goods, which would be submitted by electronic data interchange. The importer would be held accountable for the information that was provided. SARS official Kosie Louw said that because this document would not have the formal status of a clearance certificate, it would not disrupt existing legal contractual arrangements, as claimed. The goods would still move CIF (cost insurance and freight) from the port to City Deep. SARS has also proposed softening the penalty provisions so that errors not resulting in any prejudice to customs revenue will be subject to penalties only after three warnings. These penalties will be discretionary and applied leniently in the first 12 months of the bill coming into force to allow business time to properly prepare for the change. An appeal process has been included. Source: Business Day Live. You will recall a recent challenge by trade to SARS’ proposed implementation of mandatory clearance of national transit goods inland from port of initial discharge – refer to Revisiting the national transit procedure – Part 1. Now lets take a step back to look at the situation since the inception of containerisation in South Africa – some 30 years ago. Customs stance has always been that containerised goods manifested for onward delivery to a designated inland container terminal by rail would not require clearance upon discharge at initial port of entry. Containers were allowed to move ‘against the manifest’ (a ‘Through Bill’) to its named place of destination. 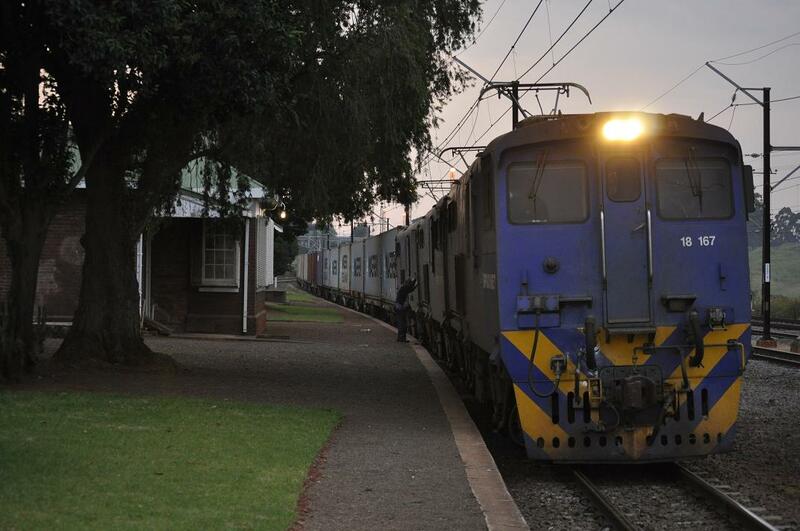 This arrangement was designed to expedite the movement of containers from the port of discharge onto block trains operated by Transnet Freight Rail, formerly the South African Railways and Harbours (SAR&H) to the inland container terminal at City Deep. Since SAR&H operated both the national railway and the coastal and inland ports, the possibility of diversion was considered of little import to warrant any form of security over the movement of containers by rail. Moreover, container terminals were designed to allow the staging of trains with custom gantry cranes to load inland manifested containers within a ‘secure’ port precinct. Over the years, rail freight lost market share to the emergence of cross-country road hauliers due to inefficiencies. 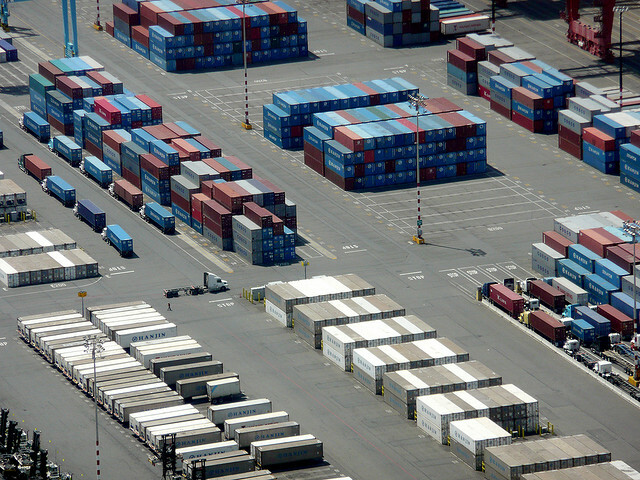 The opening up of more inland terminals and supporting container unpack facilities, required Customs to review the matter. It was decided that road-hauled containers moved ‘in bond’ by road would lodge a customs clearance (backed with suitable surety) for purposes of national transit. Upon arrival of the bonded freight at destination, a formal home use declaration would be lodged with Customs. Notwithstanding the surety lodged to safeguard revenue, this has the effect of deferring payment of duties and taxes. Diversification of container brokering, stuffing and multi-modal transport added to the complexity, with many customs administrations failing to maintain both control and understanding of the changing business model. Equally mystifying was the emergence of a new breed of ‘players’ in the shipping game. Initially there were so-called ‘approved container operators’ these being ocean carriers who at the same time leased containers. Then there were so-called non-approved container operators who brokered containers on behalf of the ocean carrier. These are more commonly known as non-vessel operating common carriers or NVOCCs. In the early days of containerisation there were basically two types of container stuffing – full container load (FCL) and less container load (LCL). The NVOCCs began ‘chartering’ space of their containers to other NVOCCs and shippers – this also helped in knocking down freight costs. This practice became known as ‘groupage’ and because such containers were filled to capacity the term FCL Groupage became a phenomenon. It is not uncommon nowadays for a single FCL Groupage container to have multiple co-loaders. All of the above radically maximised the efficiency and distribution of cost of the cellular container, but at the same time complicated Customs ‘control’ in that it was not able to readily assess the ‘content’ and ownership of the goods conveyed in a multi-level groupage box. It also became a phenomenon for ‘customs brokers/clearing agents’ to enter this niche of the market. Customs traditionally licensed brokers for the tendering of goods declarations only. Nowadays, most brokers are also NVOCCs. The law on the other hand provided for the hand-off of liability for container movements between the ocean carrier, container terminal operator and container depot operator. Nowhere was an NVOCC/Freight Forwarder held liable in any of this. A further phenomenon known as ‘carrier’ or ‘merchant’ haulage likewise added to the complexity and cause for concern over the uncontrolled inland movements of bonded cargoes. No doubt a disconnect in terms of Customs’ liability and the terms and conditions of international conveyance for the goods also helped create much of the confusion. Lets not even go down the INCOTERM route. 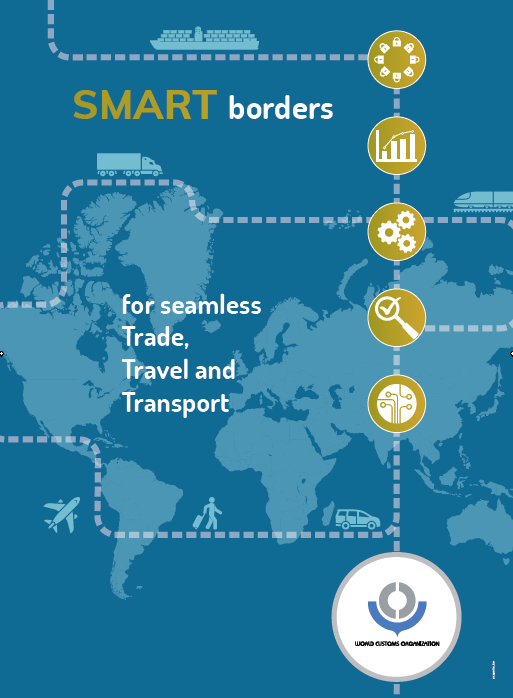 Internationally, customs administrations – under the global voice of the WCO – have conceded that the worlds administrations need to keep pace and work ‘smarter’ to address new innovations and dynamics in the international supply chain. One would need to look no further than the text of the Revised Kyoto Convention (RKC) to observe the governing body’s view on harmonisation and simplification. However, lets now consider SARS’ response in this matter. Right of reply was subsequently afforded by FTW Online to SARS. The issue at hand concerns the issue of the ‘means’ of customs treatment of goods under national transit. In Part 3 we’ll consider a rational outcome. Complex logistics have and always will challenge ‘customs control’ and procedures. Despite the best of intentions for law not to ‘clog up the port’, one needs to consider precisely what controls the movement of physical cargo – a goods declaration or a cargo report? How influential are the guidelines, standards and recommendations of the WCO, or are they mere studies in intellectual theories? FTW Online last week ran an interesting article in response to a proposed change in Customs’ policy concerning the national transit movement of containers from coastal ports to inland container terminals and depots. In February 2011, I ran an article Customs Bill – Poser for Cargo Carriers, Handlers and Reporters alluding to some of the challenges posed by this approach. The following article goes a step further, providing a trade reaction which prompts a valid question concerning the practicality and viability of the proposed change given logistical concerns. I believe that there is sufficient merit in the issues being raised which must prompt closer collaboration between the South African Revenue Service and trade entities. For now it is sufficient to present the context of the argument – for which purpose the full text of the FTW article is presented below. In Part 2, I will follow-up with SARS’ response (published in this week’s edition of the FTW) and elaborate on both view points; as well as consider the matter on ‘raw’ analysis of the ‘cargo’ and ‘goods declaration’ elements which influence this matter. Furthermore, one needs to consider in more detail what the Revised Kyoto Convention has to say on the matter, as well as how other global agencies are dealing and treating the matter of ‘security versus facilitation’.